Dr. Dog may have just issued their B-Room LP, but the band are due to ring out the holiday season with a set of Christmas-themed cuts called Oh My Christmas Tree. A press release explains that the EP of holiday originals had initially been primed as a gift for just family and friends, but Anti- will put the set up for sale as a digital release tomorrow (December 10). 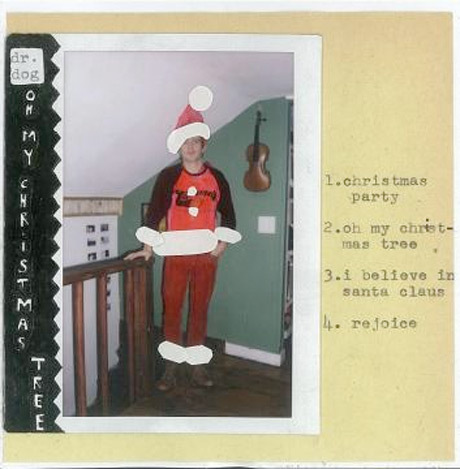 Apparently, Dr. Dog's Scott McMicken wrote the songs last year in a couple kitchens during the lead-up to Christmas, weighing in with a lo-fi country flavour on tracks like "Oh My Christmas Tree" and a ramshackle jing-a-ling for "I Believe in Santa Claus." "Christmas music can be so playful and fantastical but it can also be very melancholy and foreboding," McMicken explained in a statement. "To me that's the best. The spirit can guide you to balance and the spirit can be found anywhere you choose to look. In the cartoons and in the cold blood. In the wild imagination and in the strictest tradition." Ahead of tomorrow's release, you can stream all four songs from the collection over at Slate. All proceeds from the set will go to Feeding America, a charitable organization uniting food banks across the U.S. and serving over 37 million people.